Whether it’s a two-week vacation to a distant country or a simple weekend excursion into the city, traveling enriches our lives and leaves us with lasting experiences and memories. As you may recall, we started the Many Ways to MOVA blog series to talk about different ways you can use the MOVA Globe in your daily life. With summer in full swing, we will go over three simple ways you can use our globes to fuel your wanderlust. Before you set out on your adventure, aim to be a cultured traveler. 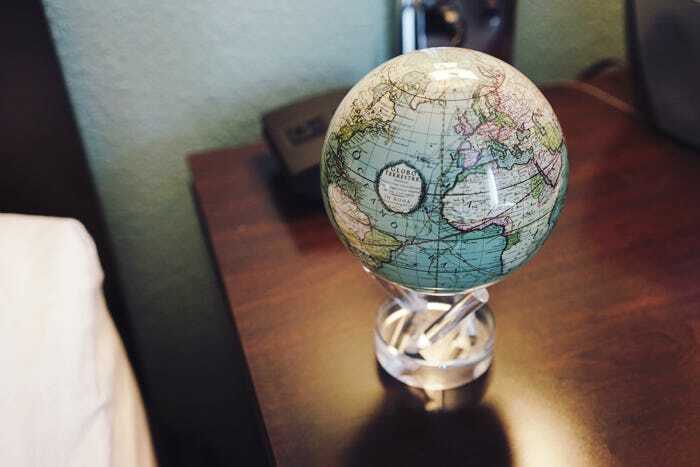 You can use your MOVA Globe as a starting point to familiarizing yourself with a region. 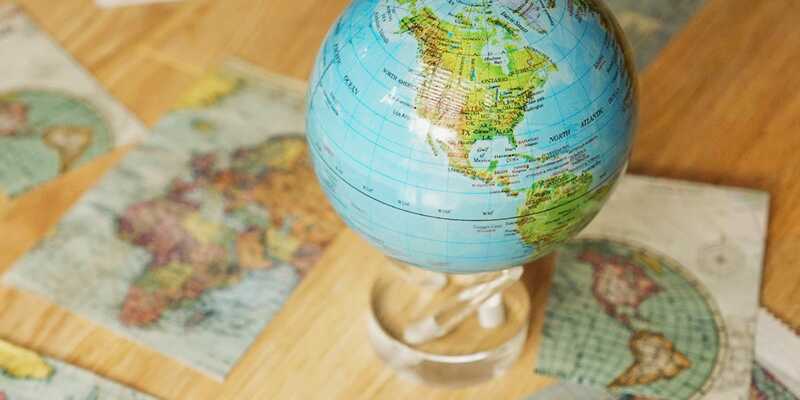 Locate your destination on your globe and make a note of its location and the cities, countries, and geography that surround it. Take time to do a little research on these areas and learn about the region’s uniqueness – the famous and “local” food and drink, the historic sites, the cultural traditions and events. We find that the more you’re informed about the place you’re traveling to, the more you will feel connected to it. 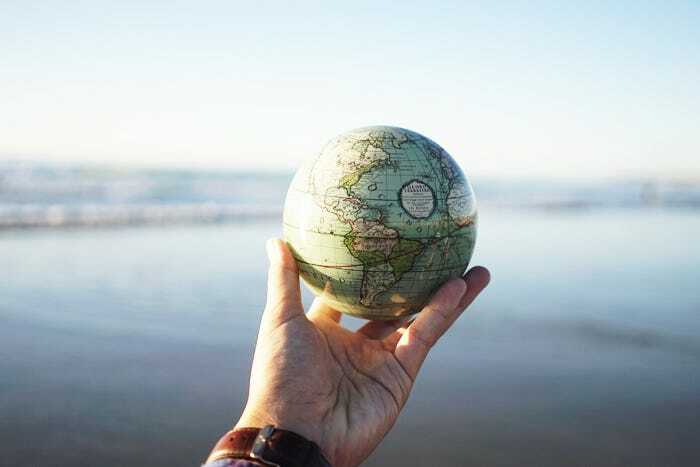 The feeling of having the world in your hands is quite the phenomenal one – be more involved with your destination and actively learn about the best it has to offer. MOVA Globes are intended to live happily in your home and thus, we think you can enjoy your MOVA Globe after your travels. After returning home from a trip, you can place your MOVA Globe next to you and let the calming rotation work its magic as you clear your mind and recharge your batteries. This allows you to better process your trip and remember it as a positive experience. Think about what you’ve learned and gained from experiencing the place firsthand and compare it to the plans you made in the first tip above. It’s important to relax during any trip. Having something that helps you unwind can help you realize the value of your travels. When your travels come to an end, you are bound to experience some withdrawals. The easiest remedy is to look forward to the next adventure. Create a list of dream destinations –including crossing off the places you’ve already been – and hang it up on the wall. 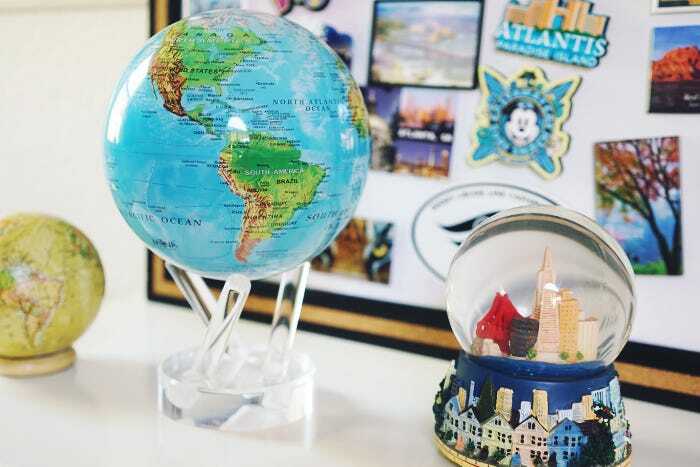 Put your list alongside your favorite souvenirs, travel pictures, and your MOVA Globe. Assembling mementos, a bucket list, and a rotating world together will both remind you of your greatest travel moments and keep you in pursuit of your goals to see the world. Many in the MOVA community have commented how their globes remind them of how vast the world is and inspires them to continue exploring it. No matter where you’re traveling to this summer, we wish you the best of travels and hope that you will find your inspiration. Do you find any of our tips helpful? Let us know on Facebook!